New York City illuminates brilliantly for the holiday season, starting with the biggest and brightest Christmas trees! The most famous is of course the Rockefeller Center tree, but wonderful lighted and decorated trees are found throughout the city, in retail stores, theaters, museums and parks, as well as along city thoroughfares, most notably, Park Avenue. Browse our list of some of our favorites! Please check with official websites to ensure latest schedules/cancellations. Each season, the Cathedral of St. John's Peace Tree Dedication begins with students from The Cathedral School putting up their annual Mitten Tree. Join in the holiday celebrations. Celebrate the season at the annual holiday and winter warm-up in northern Central Park. This event culminates with caroling and the lighting of the Dana Center and a flotilla of trees on the Harlem Meer. Each season, the South Street Seaport holds its tree lighting and Chorus Tree performances. NOTE: As of this writing, the South Street Seaport is without power due to Hurricane Sandy. The Met continues its annual tradition with its presentation of the Annual Christmas Tree and Neapolitan Baroque Creche nativity scene. Citi Pond at Bryant Park will kick off the holiday season with a live countdown and ceremonious lighting of its iconic Holiday Tree. This free-to-the-public event will feature live entertainment from Olympic skaters, Broadway performers and exciting musical talents. 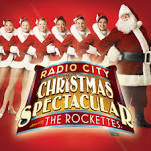 The 2012 Madison Square Park celebration will include holiday entertainment from The New York Life Singers and family fave, Audra Rox, treats from Hill Country Barbecue Market, holiday crafting with MSPC, and much more. Festivities start at 3:30pm with the Tree of Light ceremony commencing at 4:30pm. Visit the Botanical Garden for this tree lighting and sing-along. This date also marks the start of their Holiday Train Show. Join the NYSE Euronext community for the 89th Annual Tree Lighting Ceremony as they celebrate the season and bring the excitement of the holidays to Wall Street. This free event will be held from 5pm-7pm. An annual tradition, the delightfully decorated Origami Holiday Tree has marked the start of the holiday season at the Museum for more than 30 years. The theme of this year’s 13-foot tree is Museum Collections, with ornaments inspired by items in the permanent halls, current exhibitions, and Museum collections. Volunteers begin folding in July to complete the 500 creations that will be displayed on the tree. During the holiday season, volunteers will be on hand to teach visitors of all ages the art of origami folding. Check out the the Upper East Side to view the 2.5 mile long stretch of Park Avenue that is illuminated by trees during the Holiday season. The Rockefeller Center Christmas Tree will be lit for the first time on Wednesday, December 3, 2014 with live and taped performances from 7–9pm. The Rockefeller Center Christmas Tree is a world-wide symbol of the holidays in New York City. Each year, it is decorated with more than 30,000 multi-colored, energy-efficient LED lights, and crowned by a Swarovski star. Each season, the Washington Square Association raises holiday spirits by providing a Christmas tree, holiday lighting and music for the whole community to enjoy. The Christmas tree under the Arch is lit for the season between the hours of 4 pm and 1 am. The annual Winter’s Eve at Lincoln Square event is NYC’s largest holiday festival. The 2012 Winter’s Eve kicks off with a neighborhood tree lighting ceremony with world renowned singer/songwriter Suzanne Vega, cast members of Avenue Q, the Brooklyn Youth Chorus and more. Winter’s Eve continues through the evening and features free entertainment, food tastings, in-store activities and shopping around and about this colorful and vibrant neighborhood. The celebration begins with a neighborhood tree lighting ceremony at Dante Park at Broadway & 63rd Street at 5pm and continues along Broadway from Time Warner Center to 68th Street. To submit a Christmas tree listing to this page, please use our Submit Your Listing page.